The latest apprenticeship figures, show a year on year drop in starts of 28% for the 2017/18 academic year to June. Responding to this, Jamie Kerr, Head of External Affairs at the Institute of Directors, said: “Today’s stats underline that the levy system is still far from firing on all cylinders. The ambition of 3 million starts by 2020 remains the remotest of targets. “We have welcomed the ramping up of Government engagement with business concerns, and recent steps to give firms more flexibility with the levy have been a step in the right direction. But the work must continue, and we look forward to further efforts to ensure the reality of the system matches the original ambition behind the levy. Federation of Small Businesses (FSB) National Chairman, Mike Cherry, said: “Today’s 28% year on year drop is yet another clear signal that the levy system isn’t working to its full potential. “Big businesses are still struggling to come to terms with the levy system and are failing to pass on their unspent levy to small businesses. 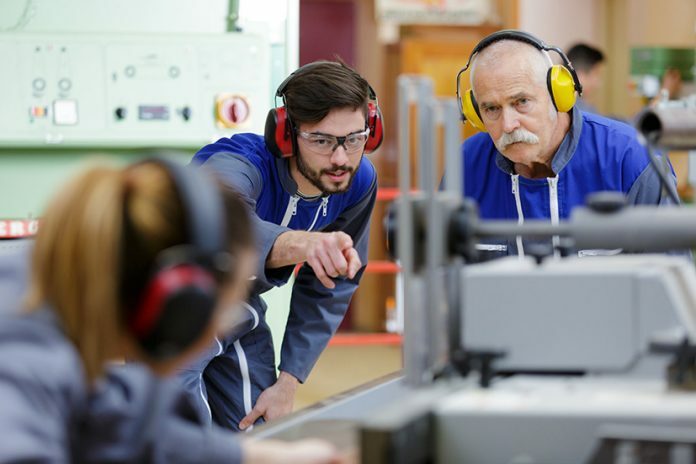 This support is vital for smaller firms that are looking to offer apprenticeship opportunities, but may not be able do due to higher costs brought on by the introduction of the 10 per cent contribution for training an apprentice. “The Government must now come clean about its ambitious apprenticeship target of three million starts by 2020 and admit that it is increasingly looking out of sight. We will now need to see about 73,000 a month if we are to hit this target. “Lessons must be learnt from the continuing drop in starts and more must be done to arrest the slump which is damaging productivity and compounding already chronic skills gaps.